An entertaining, impassioned polemic on the retreat of reason in the late 20th century. An intellectual call to arms, Francis Wheen's Sunday Times bestseller is one of 2004's most talked about books. In 1979 two events occurred that would shape the next twenty-five years. In Britain, an era of weary consensualist politics was displaced by the arrival of Margaret Thatcher, whose ambition was to reassert 'Victorian values'. In Iran, the fundamentalist cleric Ayatollah Ruhollah Khomeini set out to restore a regime that had last existed almost 1,300 years ago. Between them they succeeded in bringing the twentieth century to a premature close. By 1989, Francis Fukuyama was declaring that we had now reached the End of History. What colonised the space recently vacated by notions of history, progress and reason? Cults, quackery, gurus, irrational panics, moral confusion and an epidemic of mumbo-jumbo. Modernity was challenged by a gruesome alliance of pre-modernists and post-modernists, medieval theocrats and New Age mystics. It was as if the Enlightenment had never happened. Francis Wheen, winner of the George Orwell prize, evokes the key personalities of the post-political era - including Princess Diana and Deepak Chopra, Osama Bin-Laden and Nancy Reagan's astrologer - while charting the extraordinary rise in superstition, relativism and emotional hysteria over the past quarter of a century. 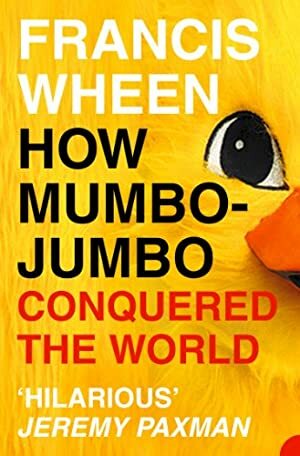 From UFO scares to dotcom mania, his hilarious and gloriously impassioned polemic describes a period in the world's history when everything began to stop making sense. Log In to track Francis Wheen on eReaderIQ. to be notified each time the price drops on any book by Francis Wheen. to stop tracking Francis Wheen. We started tracking this book on March 12, 2013. This book was £5.99 when we started tracking it. The price of this book has changed 70 times in the past 2,236 days. The lowest price to date was £2.66 last reached on October 17, 2014. This book has been £2.66 2 times since we started tracking it. The highest price to date was £7.49 last reached on January 14, 2019. This book has been £7.49 one time since we started tracking it.